When working with software as complex as SharePoint, assistance from an expert is definitely an advantage! Katalyst, a Microsoft Gold Certified Partner, has the experience to help you get the most out of SharePoint. Our consultants are well versed with recent SharePoint versions including SharePoint 2016, SharePoint Online, SharePoint 2013, 2010 and 2007. We can manage your SharePoint implementations wherever you have them, or migrate them to where you want to be; with thousands of SharePoint migrations under our belt. From exhaustive consultation to custom-built game plans, our SharePoint consulting will offer you the right solutions for your unique business objectives. With thousands of SharePoint migrations under our belt, we can manage your SharePoint implementations wherever you have them, or migrate them to where you want to be, in the Cloud or on-premises. We offer comprehensive customization solutions which takes your through research, design, development, and implementation. Nevertheless, it all starts with your free valuation. 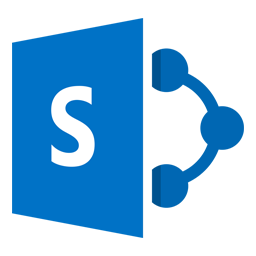 To better harness the power of SharePoint, you need a team that understands all the components of SharePoint. A knowledgeable team can guide you to standard and advanced features, workflows, themes, and tools included in various versions of SharePoint. Business Process & Workflow: Any enhancement in the business process increases the complete effectiveness which will add to your profitability. We can assist you list and streamline the core processes that drives your company, efficiently manage the compliance requirements for several governing processes, build reusable templates to augment employee independence and reduce IT expenses, manage entire business workload through an active pipeline reporting structure. SharePoint Business Intelligence (BI) Solutions: SharePoint BI is the most interesting part of the tool. It is the best feature of the tool that helps you with quick decision-making. We can help you build highly competent reporting tools which will provide you with scalability and precision. We help you understand and create rich BI dashboards which include visual graphics, summaries and charts that will help you make quick business decisions. SharePoint Integration and Implementation: Our SharePoint team helps you with migration or up gradation from existing applications, installation and configuration of SharePoint site, creation of custom business workflows, management of intranet and extranet websites, SQL server reporting, integration, and analysis, dashboard creation, Infopath forms creation, SharePoint site branding, and business process automation implementation. SharePoint Extranet/Intranet Portals: Once your data is organized in a content management system, making it accessible is important. This is done through the Extranet and Intranet portals. We help you to efficiently set up a portal which works as a useable data repository. You can allow access to anyone to these portals simultaneously preserving internal control over the data. SharePoint Excel Services: SharePoint Excel Services help you create interactive reports and workbooks that can be accessed from anywhere on your network. Katalyst will help you from the research and data gathering phase, and advance through development, execution, and even afar through lasting support. When we manage your SharePoint infrastructure, we can help you in reusing licenses you already have or provide you with Microsoft licenses that you need. Consult our staff about Microsoft Software License mobility. It is rare to find so much SharePoint expertise under one roof. From SharePoint 2003 to the latest SharePoint 2016, we have done it all. Let us help you today with your SharePoint project.